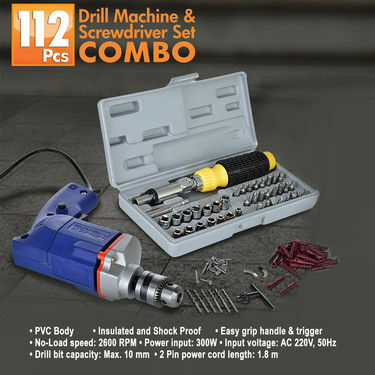 Designed for your every household needs as well as heavy-duty applications, the 112-Piece Drill Machine & Screwdriver Set Combo will put all your drilling woes to rest. 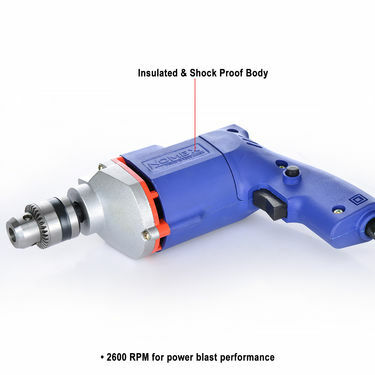 With a speed of 2600 RPM, you get full blast power while drilling. A keyed chuck helps you tighten the bits with extra torque. An ergonomic handle lends a comfortable grip so doing the drilling job for hours become less strenuous. Lastly, a compact design ensures that you get to use this machine in even the most hard-to-reach areas like corners and furniture joints. 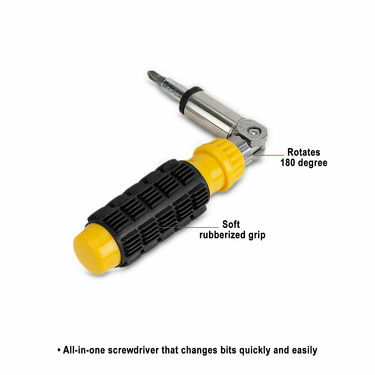 In addition, you get a Screwdriver Set that gives you a 360 degree coverage of all your maintenance tasks. 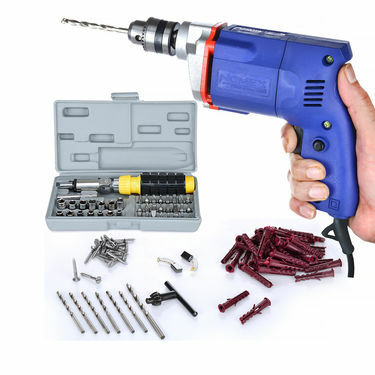 Hanging that favorite photo frame on the wall of your new house, or putting up that exotic painting or mural in your bedroom will no longer be an uphill task once you have the 112-piece drill machine & screwdriver combo at your disposal. 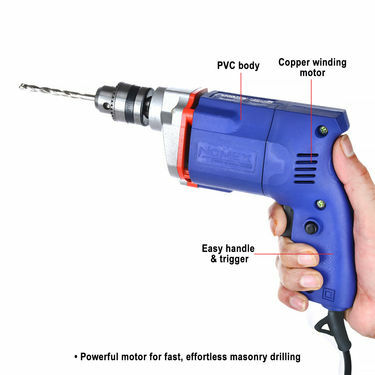 Ergonomically designed with a comfortable hand grip, this pistol-grip drill machine has a powerful motor and high-impact rate for a fast and effortless, masonry drilling. This machine is equipped with a keyed chuck that enables you to ?chuck? the bit in tighter, since it gives you more torque to tighten. 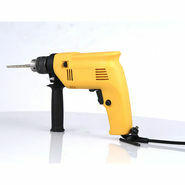 The machine has a drill bit capacity of 10mm which is great for drilling holes with precision. It comes with bits of varying sizes which are easy to change. The included two carbon brushes supply electric current to the motor by connecting the moving parts. With an input voltage of AC 220V, 50 Hz and a power input of 300 watts, this drill machine does its work with absolute precision. PVC body makes the machine insulated and shock-proof while the copper motor gives it a rugged, sturdy construction. Power it up with the 1.8 meter 2-pin cord and you are all set. The machine consumes less power due to strong construction of armature windings and thus helps you save on electricity. 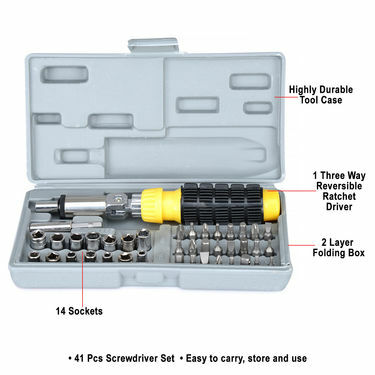 The 41-piece screwdriver tool kit provides a wide range of tools of all shapes and sizes that are suitable for every application. 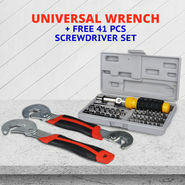 Helping you with your fastening needs, this set comprises sockets, extension bar, 3-way reversible rachet driver, bit adopter, and different types of bits. You also get a 2-layer folding box to properly store the tools and fold it into a very small unit when not in use. 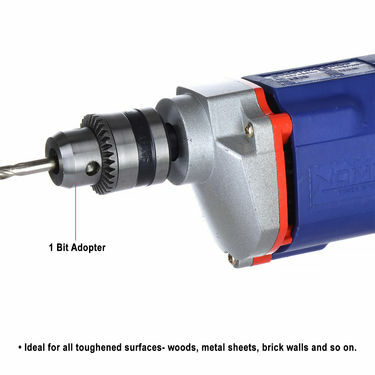 So, get home this really useful piece of machinery for drilling small holes into wood, thin metal sheets, brick walls, shelves and more, enjoy do-it-yourself jobs. Nice product ! much better any other!